Cast Iron cookware has great ability to retain heat. There is no need for high technology level for it to be formed and produced. Its ability to maintain and withstand very high temperatures for cooking is a very good choice for frying or seasoning. 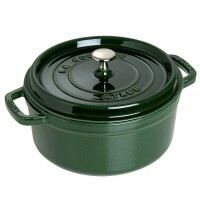 It also has excellent retention and heat diffusion, which makes it a great option for braised foods or cooking stews. Because of the property of the cast iron to have a non-stick surface, it is a wonderful choice for cooking eggs especially scrambled. It can also be used for baking. The good thing about cooking with the best cast iron cookware is the fact that it leads to significant percentage of iron to food according to the American Dietetic Association. The amount of absorption varies depending upon the water content, acidity, and duration of the food cooked and the age of the cookware. In effect, people who suffer from iron deficiencies will benefit. There are two types of cast iron cookware namely enameled and bare. The bare type needs to have seasoning to react with the ingredients. The enameled is non-reactive which means that is can have chipping if it is not cared for properly. It is good to use for cooking raw ingredients such as tomatoes and other food that produces acid. 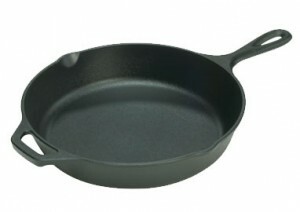 The cast iron skillet made by Lodge is very good when it comes to their cookwares. They have products that are sturdy and solid. It is pre-seasoned. It can provide even cooking and it has superior heat retention. The design has two handles which is optimum for heavy lifting. 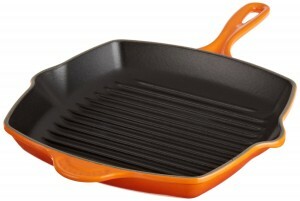 It also has heirloom pan that you can use for camping or in the kitchen. They can be ordered online or purchase in different stores such as Target and Wal-mart. Their prices are affordable. The Le Creuset Round Skillet is very good to use. It looks elegant because of its sloping sides and its smooth surface. It is enameled which makes it easy to clean. There is no need for seasoning. There is also no sticking involved. It cannot also be chipped and it is crack-resistant. It has iron handle which makes it easy to transport. 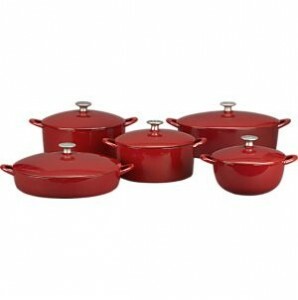 Mario Batali Italian Essentials Pot 6 quart has straight sides; broad base makes it easier to cook for a lot of people. There is no need for multiple batches when you can sear in a big pot. This product can accommodate unwieldy cuts from lamb shanks. There is no significant evaporation in the braising due to the looser lid and wider base. If you are not looking for a pot that can be transported easily, this might not be the best choice. It is a heavy pot because of it can accommodate a large amount of food and constructed with thick walls for protection. It costs around $100. 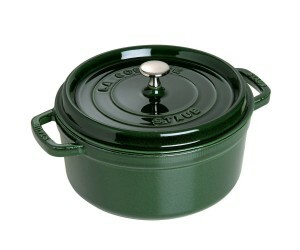 World Cuisine Chasseur 5 ½ quart has a lot of sturdy and handsome pots that is very nice to use. It is made from France. It is durable and well-designed. It has a wide shape that is perfect for searing and the top knob is not a problem because it can still be used even if you are cooking. The large capacity of the pot makes it perfect for a lot of mouths to feed. The downside is it has a short warranty period of 10 years. It has a price of around $165. 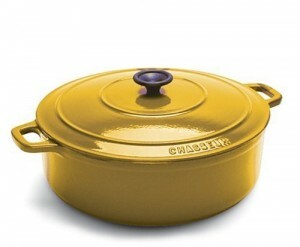 Staub Cocotte 5 quart is colored in high-gloss enamel. It has an elegant design that makes it a stylish pot. It has a unique design that makes the lid fit snugly. It retains a lot of moisture compared to other models on the oven and the stovetop. It can grip easily using oven mitts because of its wide side handles. It is very easy to maintain and clean. However, it has narrow base and sloped sides that makes it harder to sear. It can be time consuming too cook with it because it takes time to warm up. It is quite costly but it is scratch resistant.